More than 5 billion gallons of rainwater and wastewater overflow into our waterways each year. 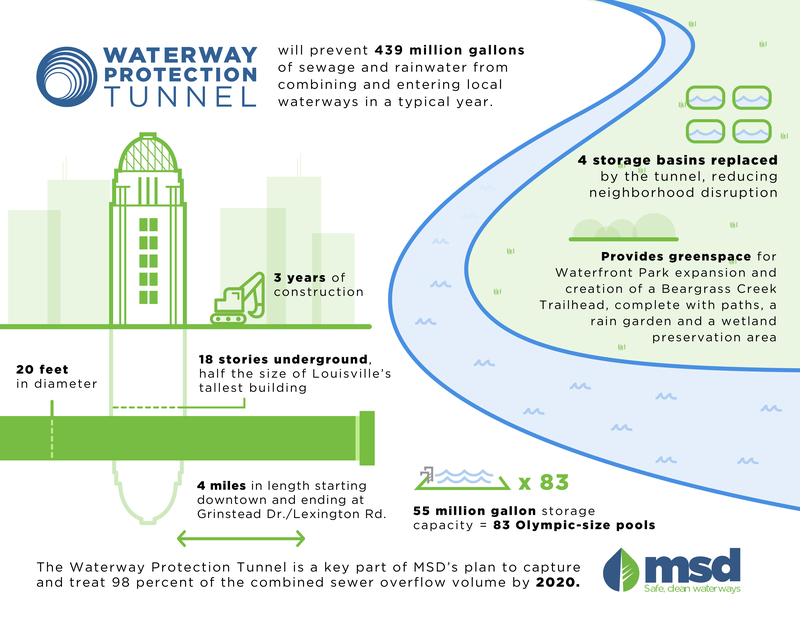 MSD’s Waterway Protection Tunnel is an innovative way to store some of this overflow of rainwater and wastewater underground until it can be pumped to a treatment facility. The tunnel is a $200 million project now underway and planned to be operational by the end of 2020. It is one part of MSD’s $940 million Consent Decree that will reduce sewer overflows by 2024. Read more about our tunnel and its impact on our community in the March 2019 issue of Water Online. How is the tunnel built? Where will the tunnel be?